This Tony Award-winning masterpiece musical premiered at Virginia Stage Company in 1989 before its acclaimed Broadway run. Based on Frances Hodgson Burnett’s beloved children’s novel, this magical tale follows lonely orphan Mary Lennox, who is sent to live with her uncle on the Yorkshire moors and discovers renewed life, for herself and her sickly cousin, in bringing a secret garden back to life. Soon returning to Broadway, today’s performance is a rare opportunity to see and hear this gorgeous music performed live before it heads back to the great white way. Developed by producer Heidi Landesman, scriptwriter and lyricist Marsha Norman, with music by Lucy Simon (of The Simon Sisters), the musical adds more emphasis to the adult characters by presenting the shared history entwining the two families from the original book, and developed on the characters into an antagonist. Lucy Simon (Composer), Heidi Landesman (Set Designer/Producer), Marsha Norman (Lyricist/Playwright), in the VSC’s NY rehearsals, 1989. Photo by Marc Bryan-Brown. Virginia Stage’s Artistic Director, Charles Towers, was approached by the production team asking if VSC would produce the show, which consequently had its world premiere at the Wells Theatre, as a Virginia Stage Company production. The Secret Garden was the first musical produced by Virginia Stage and replaced A Little Night Music in the season lineup. Rehearsals began in New York City on October 23, 1989, moving to Norfolk on November 7, with Norman and Simon working in residence at VSC. The show ran from November 28, 1989 to December 17, 1989, with direction by R.J. Cutler (from Broadway’s Into The Woods), with scenic design by Heidi Landesman, lighting by Peter Kaczorowski and costumes by Martin Pakledinaz. Wade Raley, Stacey Mosely, Jedidiah Cohen, and William Youmans in VSC’s 1989 The Secret Garden. A sketch of Heidi Landesman’s set for Virginia Stage Company’s The Secret Garden. 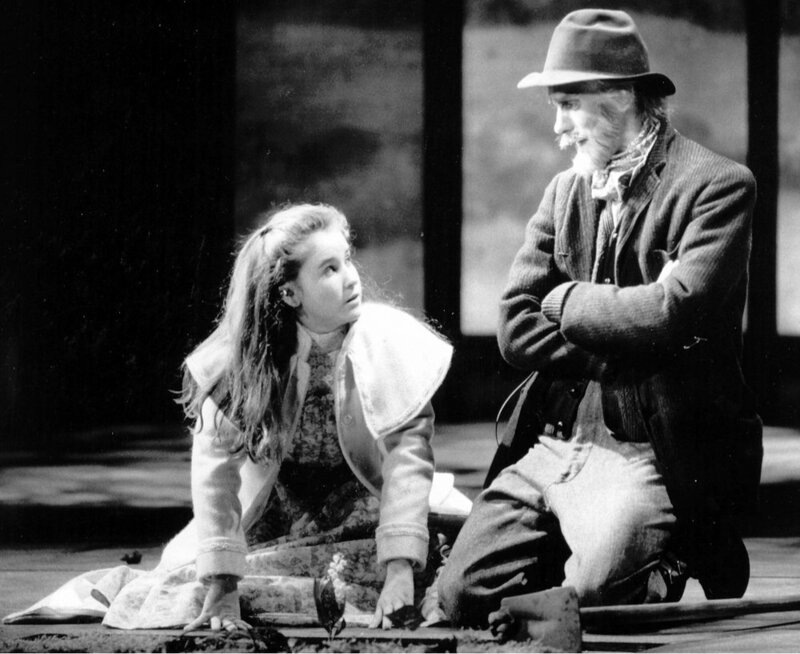 Stacey Moseley and Michael McCormick in VSC’s 1989 The Secret Garden. In 1991, The Secret Garden was nominated for six Tony Awards, winning Best Book of a Musical, Best Performance by a Featured Actress in a Musical (with two cast members as nominees! ), and Best Scenic design. The show was also nominated for 13 Drama Desk Awards, winning Outstanding Book of a Musical, Outstanding Orchestration, Outstanding Set Design, and Outstanding Musical. A model of Heidi Landesman’s Broadway set for The Secret Garden. A heavily revised Royal Shakespeare Company production ran in the United Kingdom from November 13, 2000, until January 27, 2001, then moved to the West End’s Aldwych Theatre, running from February 2001 until June 2001. In February 2018, it was announced that the first Broadway revival would be presented during the 2018-2019 season. Then in October 2018, the third annual Samuel French Awards honored Lucy Simon and Marsha Norman’s musical adaptation of The Secret Garden with the Award for Sustained Excellence in American Theatre, given to a Samuel French title or author produced across the country with both professional and amateur companies. The ceremony included a special acknowledgment to original producer and set designer Heidi (Landesman) Ettinger. For over 100 years, The Secret Garden has captivated readers of all ages. Now, 30 years after it’s world premiere as a musical, this timeless tale continues to enthrall audiences with its inspiring message that spans generations. Virginia Stage Company is proud to produce this classic work again where it all started in Norfolk, Virginia.